These movies will make the perfect double feature with some of your favorite classic Disney Channel Original Movies. I didn’t watch a lot of movies growing up, but I was allowed to watch Disney Channel Original Movies – better known as DCOMs. They were a staple of my childhood that helped, on some unconscious level, to ignite my interest in and passion for movies. Admittedly, most DCOMs aren’t particularly good movies; they range anywhere from pretty good to pretty terrible, but that never mattered – especially not to a 10-year-old who had never watched movies before. Like it or not, any judgement I might make about DCOMs will be obscured by the nostalgia I have for them. That said, they are certainly not without their artistic or entertainment value. With that in mind, I paired five of my favorite DCOMs with movies that compliment the qualities that made them so entertaining when I first saw them. Note: Some of the non-DCOMs below might not be suitable for younger audiences. John Waters’ 1994 dark comedy about a housewife driven to murder is the perfect match for Disney’s Smart House. Both films are about an overbearing mother figure that lashes out violently at those who she perceives to be a threat to her family. In Smart House, a family moves into a fully computerized household with a personality named Pat. Pat evolves the longer the family lives there, becoming increasingly strict and dangerous. Serial Mom operates much the same, as wife and mother of two Beverly Sutphin spirals into a murderous rampage in her journey to control and protect her family. 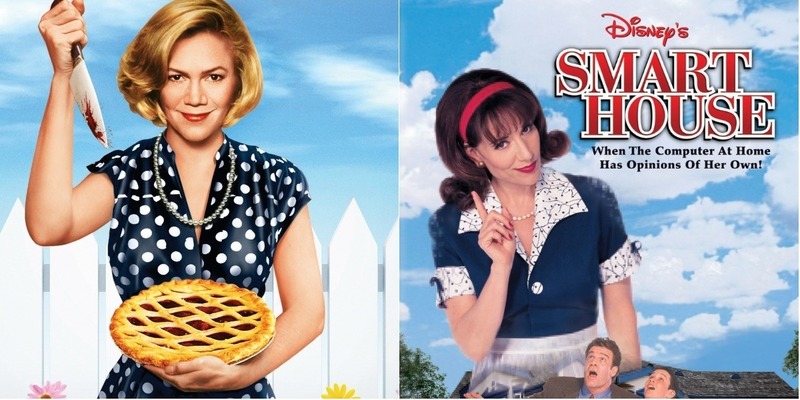 While Serial Mom acts as a satire of white suburban America, Smart House is far more interested in positing a commentary – no matter how rudimentary – of the dangers of technology. While the messages may be different, both movies portray Pat and Beverly in a similar, terrifying light making for an unexpectedly unsettling double feature. 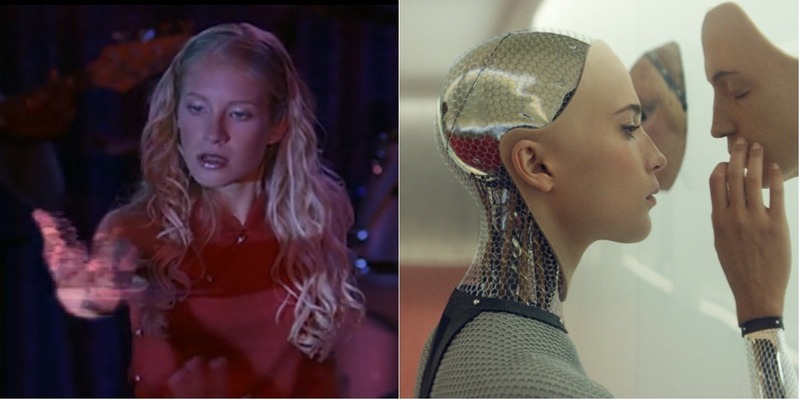 Pixel Perfect and Ex Machina both share a warning about the dangers of advanced technology – not unlike Smart House – but there is another more important similarity between the two: a man who attempts to create his ideal woman. In Pixel Perfect, Roscoe creates a hologram girl named Loretta to dance for his friend’s band. Things start off well with Loretta, but her presence disrupts the band’s dynamics and Loretta’s own limitations begin to wear on her. Ex Machina operates quite similarly – centering on a genius (Oscar Isaac) who brings in another man (Domhnall Gleeson) to test his newest invention: a humanoid A.I. Both movies deal — either directly or indirectly — with the consequences of attempting to create a perfect woman. While both fail in different ways to articulate the underlying misogyny in their creations, they do succeed in portraying how artificial intelligence struggles under the weight of self-awareness. Both of these movies, one a DCOM starring Mickey Rooney and the other a musical from director Brian De Palma, are loosely adapted from and eccentric takes on the classic The Phantom of the Opera. Both movies take the familiar source material and make it almost unrecognizable. Phantom of the Megaplex is set at a movie theater on the night of a major movie premiere as Taylor – the theater’s assistant manager – struggles to keep things running smoothly as he juggles babysitting his younger siblings, disappearing staff, broken projectors, and more. Taylor theorizes that these headaches may be the result of sabotage. 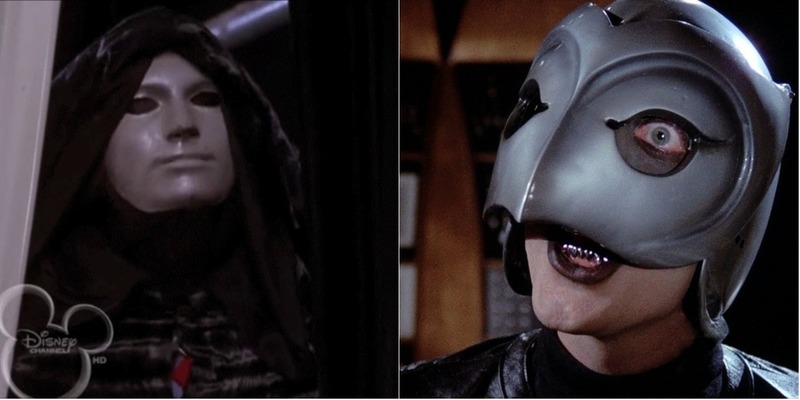 Phantom of the Paradise more formally follows its source material, but is stylistically different featuring rock music and an evil record label. It’s one of De Palma’s most underrated films and delivers a thrilling ride that might leave you longing to return to Megaplex. In the mood for dance team drama? Then this is the double feature for you. Both Gotta Kick It Up! and Bring It On center on dance teams fighting their way to the top. Both movies feature stellar dance routines, high emotional stakes, and sharp witted comedy. Moreover, both films handle issues of race and class in interesting ways. Given that they were made in the early 2000s, their portrayals may not hold up under heavy scrutiny, but both demonstrate an important sensitivity for their subjects. For example, Gotta Kick It Up! follows a Latina dance troupe as they navigate a system stacked against them. In Bring It On, it’s revealed that an all-white dance team was stealing routines from an all-black team. These dynamics serve to deepen the film’s narrative, highlighting racial injustices for audiences that may not otherwise engage with these stories. 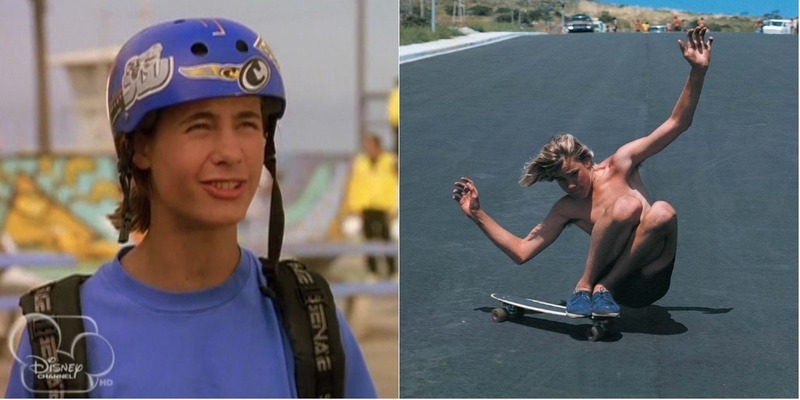 In 1998, Disney Channel released one of its first official DCOMs titled Brink. The film follows Andy and his friends, a group of casual in-line skaters that clash with a group of competitive skaters who consider themselves superior to Andy’s gang. In hindsight, Brink focused on a rather niche audience — after all, how many active in-line skating teams do you hear about? But at the time of its release, communities like the one portrayed in Brink were actually quite popular. Need proof? Look no further than Dogtown and Z-Boys. Stacy Peralta’s 2001 documentary explores how the sport of skateboarding evolved from the 1970s onward, later influencing styles of surf culture in southern California. The film is a deep dive into a niche community that not only informs the culture depicted in Brink, but shows how sports adapt and evolve in response to their communities.